If the new SATA standard is whetting your whistle for shiny new cables but you're more of an audio/video buff, check out the soon-to-be-finalised HDMI 1.4 specification. As reported by I4U, the HDMI Licensing group has announced some of the new features that the latest revision to the High Definition Multimedia Interface specification is going to bring. Perhaps the most impressive of these is the HDMI Ethernet Channel: a bi-directional data channel supporting 100Mb/s Ethernet connectivity, allowing multiple HDMI devices to share a single Ethernet connection to the Internet without the need for additional cables. As companies increasingly attempt to push interactive and on-demand content – with varying success – this is something which could really cut down on the clutter behind your big screen. Another innovation looking to cut down on the snakes' nest is the inclusion of an audio return channel: whereas previously users with a dedicated amplifier wanting to use the in-built tuner in their TV would be looking at a dedicated audio cable, the new HDMI spec allows the TV to send audio back down the HDMI lead when required. For those who think that HDTV just isn't HD enough, you've got a real treat in store: the new standard will support the impressive resolution of 3840x2160 at 24Hz, 25Hz, and 30Hz. 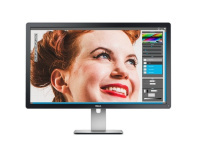 If motion resolution isn't your thing – or you just like seeing movies at the speed they were intended to be viewed at – the maximum resolution is an eye-watering 4096x2160 at 24Hz. The increased bandwidth offered by the new standard isn't just being used on the resolution, either: HDMI 1.4 will bring 3D support, with up to 1080p content being supported. While we're still waiting for a reasonably-priced commercial 3D TV, it's nice to know we won't have to worry too much about how we pipe the content into said device. Portable devices get a look-in too, with a new Micro HDMI connector which is half the size of the current HDMI Mini connector but still supports full 1080p. The Automotive Connection System allows “automobile manufacturers [...] a viable solution for distributing HD content within the car” - whatever that means. Finally, the addition of sYCC601, Adobe RGB, and AdobeYCC601 colour spaces mean that user with high-quality still cameras won't be sacrificing image quality when putting their snaps on the big screen. Unfortunately, the new standard brings with it some new – and somewhat bewildering – cable choices: as well as the existing Standard HDMI Cable and High-Speed HDMI Cable, 1.4 brings the Standard HDMI Cable with Ethernet, High Speed HDMI Cable with Ethernet, Micro HDMI Cable, and Automotive HDMI Cable. 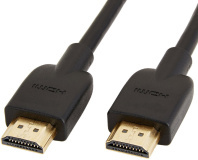 Why the licensing organisation has seen fit to keep the increasingly outdated Standard HDMI Cable – which can only support playback at 1080i, and thus isn't suitable for use with full HD 1080p devices – is unknown. The finalised version of the specification is expected to be released before the end of June this year, although it will be some time before products based around the new standard hit the market. Does the HDMI 1.4 specification bring joy to your world, or are you worried that the equipment you've bought is already outdated? Do you even see the point of HD capabilities beyond 1080p? Share your thoughts over in the forums.